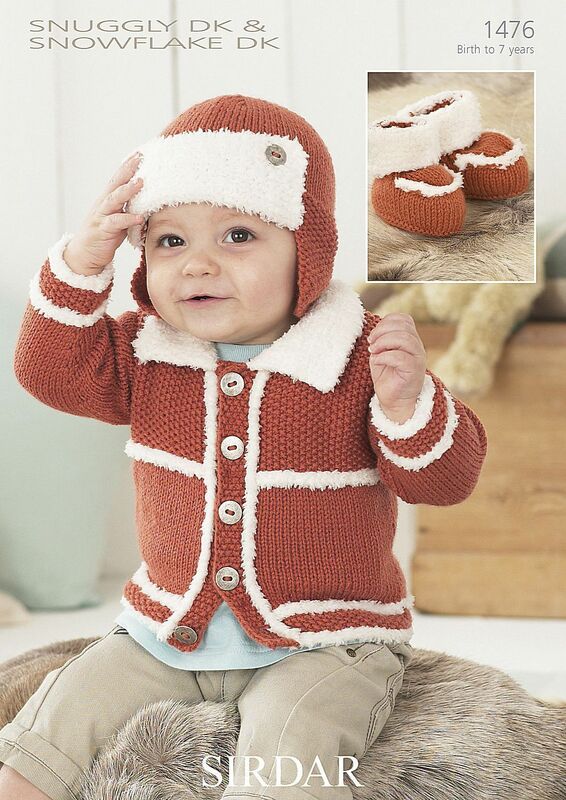 Cardigan, Helmet and Bootees patterns in Sirdar Snuggly DK and Sirdar Snuggly Snowflake DK. Perfect to keep a little boy nice and warm. Originally made in Tawny (445), which is now discontinued. Please choose an alternative.